I began using the internet to promote my talk shows way back in 1994, with my first email address and webpage. Today, I use it to promote business, build leads, sell books, get exposure on articles and to attract people to my internet marketing show and newsletter. I began using social media, Facebook, LinkedIn and YouTube, marketing about 2 years ago and they still amaze me today. There will no doubt be a few major players who survive over the next 5-10 years in the enormous social media world. The question from an investment and business angle, is who to invest in and who will return to its shareholders the most over the next 5-10 years. I believe that Google , Facebook and LinkedIn may all win and win big; I will explain why and what I believe investors should be doing. I am like millions of Americans who play what I call "The Facebook Game". We create personal profiles and upload pictures of our family, dog and cat and Christmas pics etc... However, we are really there to take your money! I don't mean that literally, I mean we just want to use the incredible power of Facebook to get at more customers to buy our products and services and refer their friends and family. The problem is that Facebook wants to control us and make us not post too often about business and not try too hard to build are friends too fast. These are signs that we are desperate and not focused on telling people what we had for lunch, how we are stuck in traffic or we just popped a pimple. I know exciting stuff that we all really care about. The truth is that virtually everyone I meet is just as tired of playing the Facebook Game but we all admit we deal with it so we can post that update for our business and disguise it as a post about something else. You know what I mean. "Hi everyone! My cat just got stuck in the tree here is a pic of me and the cat standing next to my work truck with me still in my uniform with a close-up of my nametag"! Ok, I still love Facebook because that one guy Mark or something might actually read this and I don't want to get banned. The new thing is not being able to message your fans. I am sure they will fix this obvious flaw but it also makes sense that they are in no rush. If you dig deep, Facebook is now recommending that you interact on your fanpage directly with your fans and also pay for Facebook targeted advertising to reach your fans. I almost thought I had read it wrong. So I spend hundreds and possibly thousands trying to drive traffic to my fanpage and get people to sign up. Then I have to pay Facebook to send them a message? I thought they were my fans? I guess I was wrong. I am now finally not a loser on Linkedin as I have 500+ connections. I really only know about 10 of them personally and we never really talk because we are so busy trying to add connections, rather than do business. What I like about Linkedin is that I can download all of the email addresses of my connections and store them offline, just in case Linkedin ever decides to play the Facebook Game and charge me to speak to my own friends and connections. Linkedin also will let you pay them to get connected to people who are outside of your "sphere". I signed up for Google+ the other day and I found it to be a nice easy to use interface and it seemed it actually wants me to promote myself. That Mark guy called them a "Little Facebook" and my guess is that he will live to regret saying that as much as George regrets "Read My Lips!" Google+ may not be anything big right now, but let's take a look at the obvious advantage that Google has over other people who want to de-thrown Facebook and make them the next MySpace, or should I say Vacant Space. I read that Google logs over 2 billion searches per day and has over 300 million users each day. That number is probably outdated and higher now. While I love watching cats being flushed down toilets or double rainbows as much as anyone else, YouTube business marketing is where the future is for any business. The public wants video and wants to be entertained while they learn. The businesses that realize this and accept that challenge are going to be pushed to the top in their keyword on YouTube and also on Google. Have you noticed that many of your # 1 or # 2 search results on Google are videos on YouTube? There are people who create basic how-to videos and they get 50,000 or 100,000 or more views and tremendous opportunities to sell their business, product or service to a captive audience. I can only imagine how much an advertiser would pay to be included in a highly targeted YouTube video that gets 100,000 views? Imagine a "how-to" video on how to change your oil, with an add that played on the side from Pennzoil? Facebook has video but most of their videos are from YouTube and simply placed within Facebook. Ironically, I found a lot of I hate Facebook parody videos embedded within Facebook. Google, Facebook, Linkedin, YouTube Who Will Win? I believe they are all going to win. 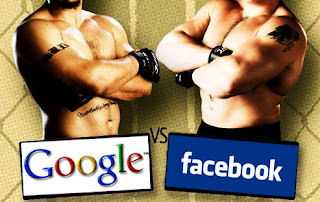 Even if Google+ takes off and a lot of people begin to use it, Facebook is huge and will not suffer for a very long time. There is also room for two giants in the massive Social Media world of business marketing and social marketing. Just look at Pepsi and Coke or Goldman and Madoff. Ok, Madoff is in jail, but he did have great returns for quite some time. LinkedIn for now runs a different format and caters more to the business community and makes it easier to do business marketing. To be honest, I see them growing over the next few years. YouTube is part of Google and together they will rule the video and video business marketing world for some time. I am betting that Google, Facebook, Linkedin and YouTube will all be very successful over the next 5 years and maybe longer. Eventually, we may see more partnerships between these guys and possibly even consolidation. I remember even seeing Steve Jobs on stage with Bill Gates, so anything can happen. What About Facebook, Google and Linkedin Stock? I would buy Facebook stock after its initial jump and fall back down to earth when things calm down. LinkedIn was the same way. It rocketed to around $120 per share and then dropped in half. It is now hovering around $70 and is probably a buy anywhere below $60 if it can keep things on track . LinkedIn is moving forward and recently reported a 63% jump in membership year over year. Its marketing solutions revenue was also up 113% year over year. These are big numbers and signs that its business model is working. Google is a giant and it recently reported 33% year over year increase in revenue. As of a month ago, Google's "Little Facebook" had already reached over 40 million people and growing rapidly. Facebook may be huge but it did not hit 40 million users for quite some time. I like Facebook (Mark, I really do). I will continue to play the "Facebook Game" along with every other business owner.